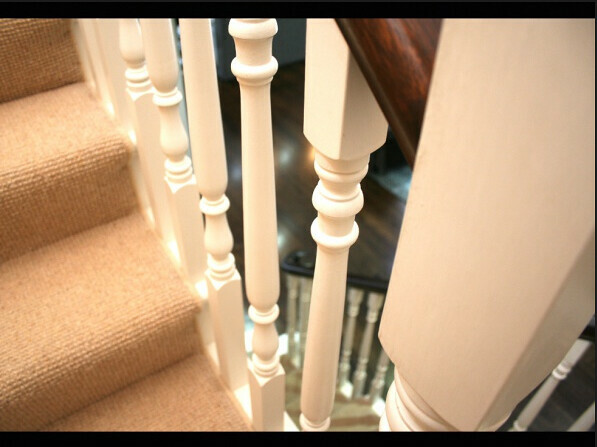 In this renovation to a delightful double fronted period home in inner suburb of Richmond the stair was designed and executed with a level of sensitivity to the original fabric, more than just a fixture for egress and regress. 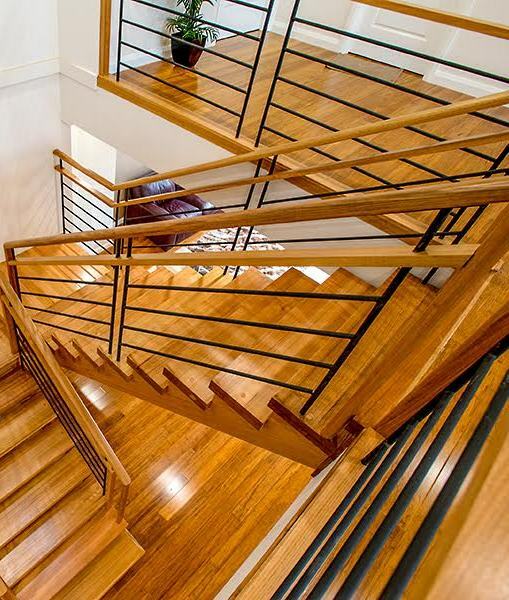 Rather, this staircase is a symbolic complement to the rich fabric of this home. 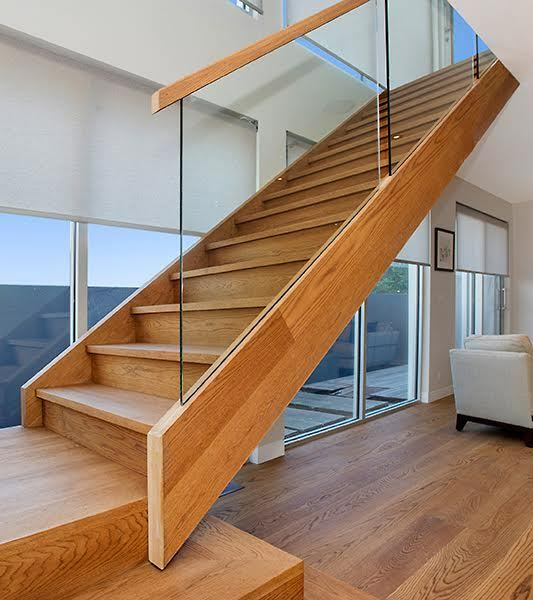 This U shaped staircase has three winders in the first quarter space while a landing in the upper to the building code requirements. 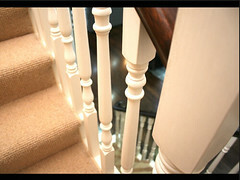 The handrail commences with a wreathing scroll over a cluster of turned balusters and bullnose tread. 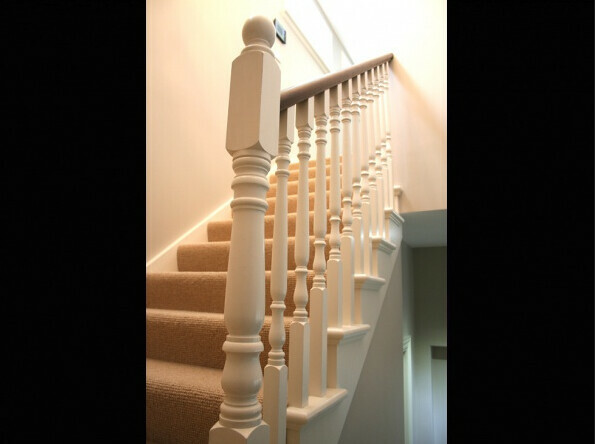 Stair Material:Specifications: Closed stair, Closed wall strings, Cut outer strings with scotia mould, Treads and risers with Projection to front and outer string. 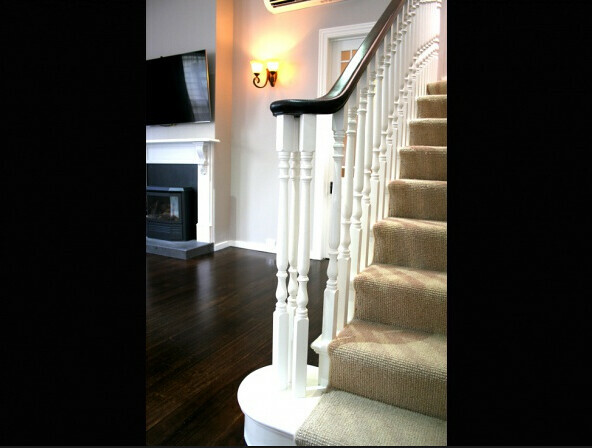 The treads have a bullnose nosing. 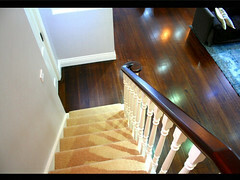 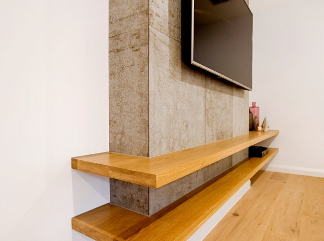 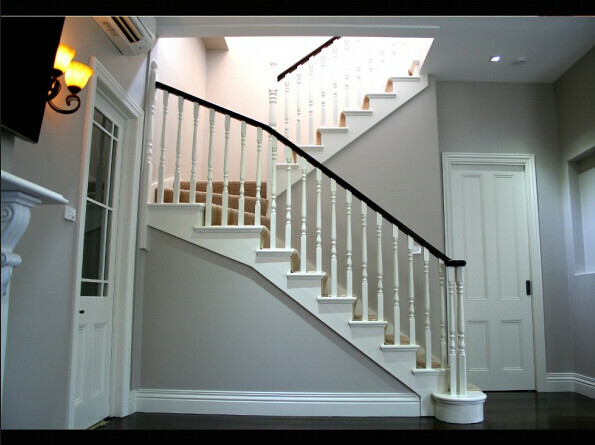 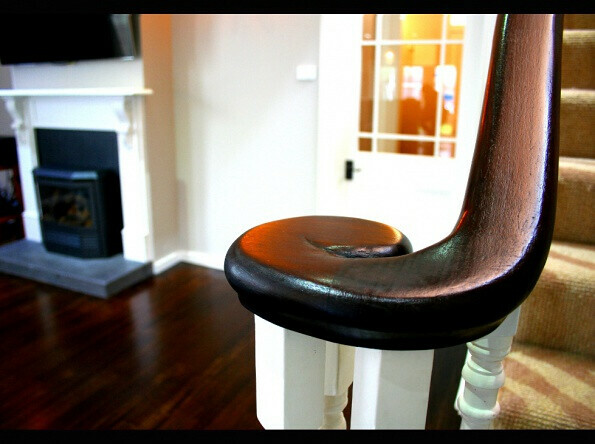 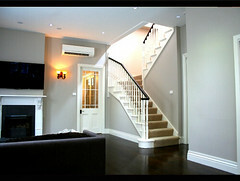 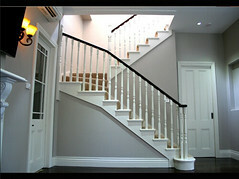 The Material used are: Strings ex 38mm Pine; Treads ex 38mm Pine, Handrails ex 50mm Tasmanian; Balusters ex 50mm Turned.